These are not results that we normally brag about here on the Ottawa River. We are spoiled because we fish on one of the best stretches of musky water in the world and we more and bigger fish than just about anyone else. 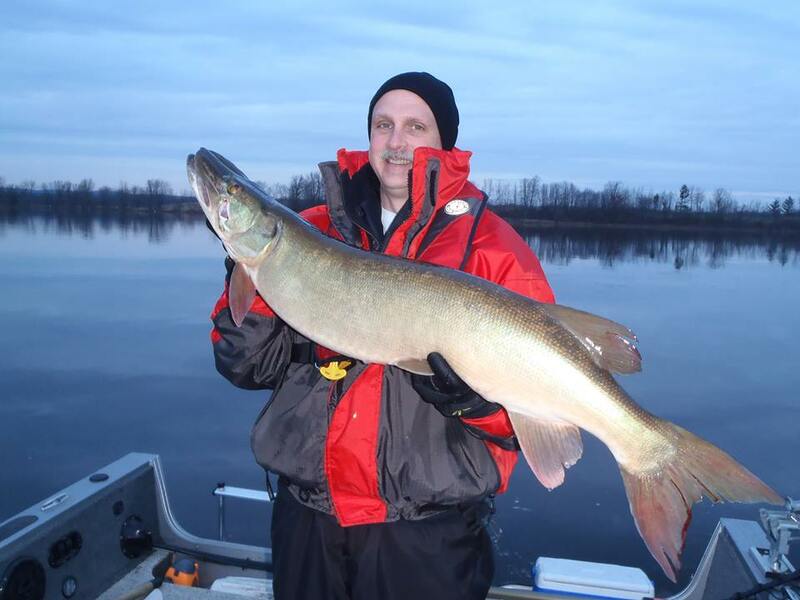 When I speak state side at shows in the winter I often use a quote from Jim Saric (Musky Hunter Magazine and TV) he spoke in the 90s; ‘The Ottawa River is the last bastion of pure musky fishing left in the world’. That said, in November six muskies in 5 days is a good score. No monsters this week but 5 fish caught casting which in itself is an oddity for November. I am proud that over the past 15 years I have learned to be able to cast up muskies at the seasons end. While most people are trolling Volkswagen size baits a mile behind the boat, my boat is still in shallow water casting rubber, glides, and jerks. Here are a couple from the past week. Pic 1 – Kent is holding his usual nice musky which was the only fish of the day and came within minutes of the moonrise late in the day. Pay extra attention to your lunar peaks right now as they mean more in November. Pic 2 is my new friend Gord with his first hunted musky. Pic 3 – Just another spectacular sunset. November is the best sunset month of the year.